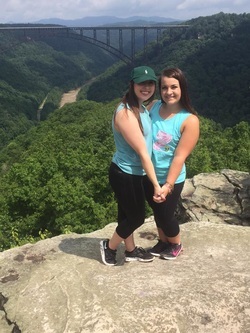 Sara calls Ohio her home and is also finishing up her time in Delta Zeta as a Senior! Over the past four years, Sara has served as our Alumnae and Parent Relations chair for two terms, Greek Week chair, Dance Thunder chair, Homecoming chair, and has served on our executive board as our treasurer, and played an imperative roll in organizing Chapter of Excellence. Sara plans to be a government auditing specialist after graduation and eventually will be moving to Charlotte. Sara's love for this chapter and desire to see it continue to succeed has driven her to strive for all of her achievements over the last few years. Her greatest wish is for the chapter to continue to achieve greatness for years to come. 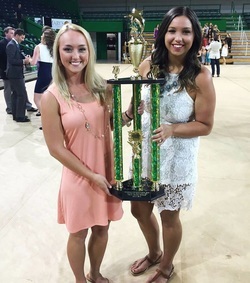 Kaitlin Thompson is a freshman in the College of Business, majoring in Accounting. She is our Parent Relations chair who loves shopping and is very family oriented. Kaitlin has a love for golf, both playing and watching. If she's not shopping or golfing, you can find her binge watching Netflix in bed. Kaitlin plans to graduate in May of 2019 with hopes to be an accountant in an Accounting firm near home. 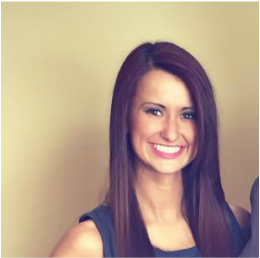 Baylee Rogers is a junior, Communication Disorders major who joined DZ in the fall of 2015. She currently holds Community Service chair for Delta Zeta and is also a member of the National Student Speech Language and Hearing Association on Marshall’s campus. 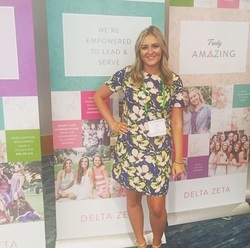 One of the main reasons Baylee chose Delta Zeta was because of our Philanthropy, Speech and Hearing, because it is something she is very passionate about. Here future plans are to graduate with an undergrad degree in communication disorders, attend graduate school, and become a Speech-Language Pathologist. She hopes to work with children in the birth-3 program who have cochlear implants and are learning to talk or young children with speech disorders. Baylee loves pizza, Justin Bieber, Grey’s Anatomy, and the beach. In the future, Baylee hopes to hold more leadership positions for her chapter.